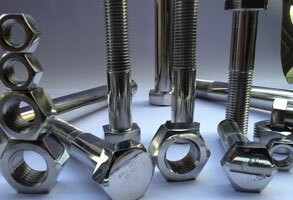 Stainless Steel Bolts and nuts for water projects, water pipelines, sewage water treatment plants,desalination plants and waste water treatment plants in SS 304, SS 316 and SS 316L grades. Manufacturing by Hot gorging method. Size Dia M 20 to 100 and Inch 3/4" to 4"
Rollfast manufacturers stainess steel bolts for water pipeline, water treatment plants, desalination plants, waste water treatment plants in SS 304, SS 316, SS 316L and 316S31 grade. With ever growing population and the growing demand for water, major projects are being taken up in the whole of middle east, Europe and Asia to increase the production and supply of water. 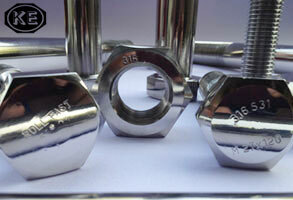 These stainless steel bolts are made in Stainless steel grades as mentioned above for these projects. "Soar to achieve" is the mantra at Rollfast, we have been continously striving for perfection and the best quality bolts we can manufacture. 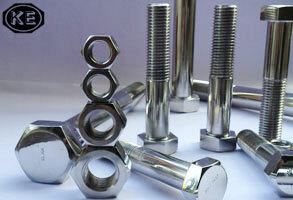 Rollfast is the biggest manufacturer for larger diameter bolts in India, with exports to middle east in Qatar , Dubai, UAE, Bahrain, Syria, Jordan, Iran, Iraq and Libya we have been exporting stainless steel bolts and stainless steel fasteners in the undermentioned grades for many different applications in marine, sewage water treatment plants, Saline and salty water applications, sea side piping, cross country pipe lines, water pipeline projects, Desalination and Water Treatment projects , in the past Rollfast has executed many projects for Dubai electricity water authority (DEWA), petroleum development of Oman (PDO), Federal electricity and water authority (FEWA), UAE . 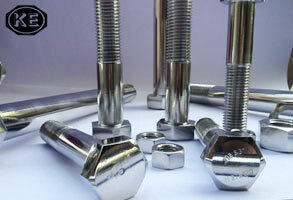 We are proud to say that our stainless steel bolts are sold in over 56 countries all over the world. 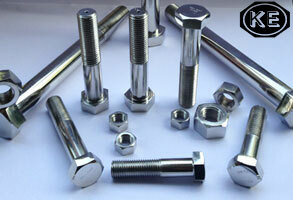 WE CAN PROVIDE IN FOLLOWING MATERIAL & GRADE.